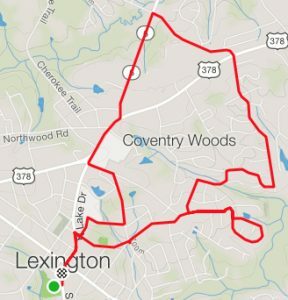 Another BRR training loop was run by 22 pax this morning. About 6 of us ran it counterclockwise. Ken Doll is still running XXL. With Bing being DR this morning Lego we nice enough to run with him. Only problem was Lego was late. H4T, Short Haul and Volton also added about 3 miles to the front half. Knozit,… well Knozit had good intentions …but he did get the 6 miles in so he still receives a participation trophy. The counterclockwise group had great conversation about Deuteronomy 23:12-13. – The guys are all pushing very hard! Proud to be part of this thing called F3. -F3 Mentors, if you are interested in becoming one, a meeting will be held Monday 8/13 at 6pm at Keg Cowboy. DM Ken Doll for more info.